Do you find yourself weighed down by resistance? Do you feel stuck in your business? Are you plagued with whispers of self-doubt? Let me help you today! Build the self-confidence and inspiration you need to be your best and brightest so your business can thrive! It's just a step away! Pop your email down below to get moving in the right direction. Each week for 6 weeks, I will send you a new affirmation, which when done on a daily basis, will help foster a sense of peace, worthiness, and confidence like you have never had before! It only takes 3-4 minutes of your day to create a new way of thinking and feeling about yourself and your life! Become who you are truly meant to be with these Always Brighter Affirmations! Get ready for a life changing, mind-altering journey. You are worthy and deserve to have your ideal life! Boo-Yah! 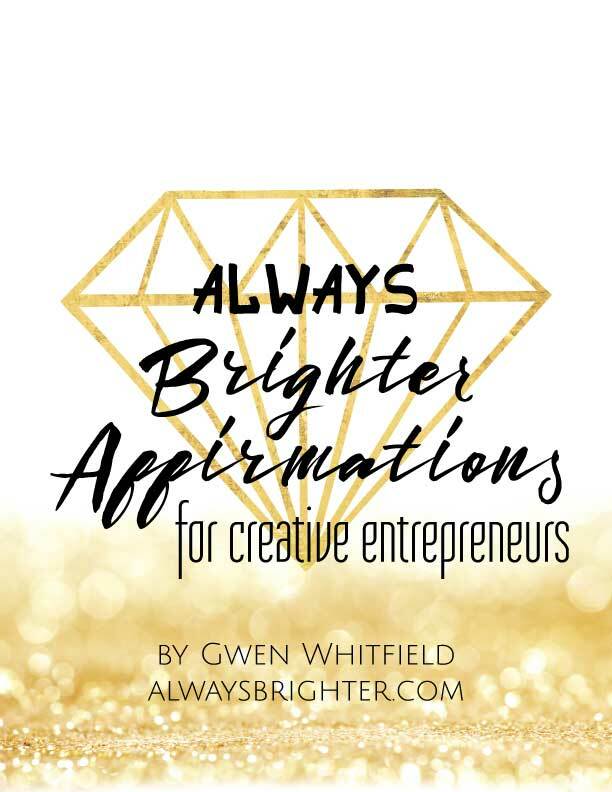 You are ready to jam it out with Always Brighter Affirmations for Creative Entrepreneurs! But first, you'll need to confirm your subscription before I can send it to you. Check your Inbox and click that confirmation button so we can get started!